As headline sponsor of Luremasters, one of Europe’s fastest growing recreational boat fishing competition, Raymarine urges recreational fishing fans to sign up quickly. 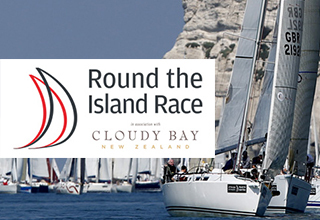 With an appreciation for all things sailing, several members of the UK team of Raymarine are entering their own boats into the 2017 Round the Island Race in association with Cloudy Bay, 1st July 2017. If you are entering, or still deciding, we caught up with some of our colleagues to gain insight from their own experiences, to give you all the know-how from the people who enter and why it has become such a wonderful event for them. Raymarine has teamed up with one of Britain’s top sailing meteorologists, Simon Rowell, to give the all-important Weather Briefing to competitors taking part in the 2017 Round the Island Race in association with Cloudy Bay. 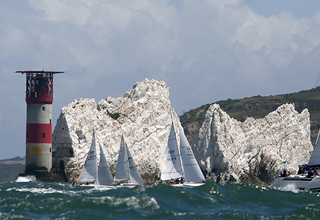 The Weather Briefing will take place on the eve of the race on Friday 30th June, 18:00 at the Island Sailing Club, Cowes and competitors are encouraged to attend, to get the most up-to-date the weather and tidal information ahead of race day.